Known as Jimmy. Worked as an Insurance Agent for the Royal London Insurance Company, later becoming a Superintendent. Served in the Royal Navy as a Sick Bay Attendant on HMS Broke during the First World War when his ship (alongside HMS Swift) famously engaged six German destroyers in the English Channel, sinking two of them - one by ramming - on 20 April 1917. 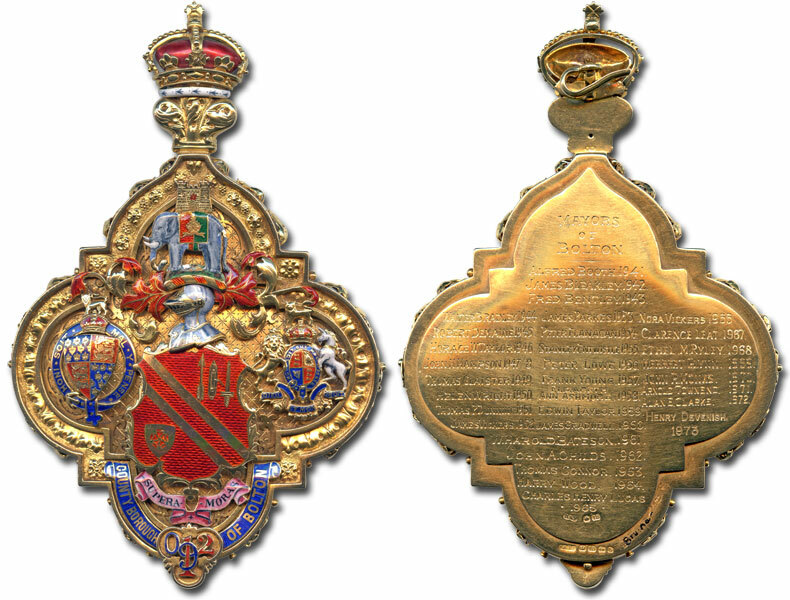 Awarded the Distinguished Service Medal on 10 May 1917 and the Romanian Distinguished Conduct Medal on 17 March 1919. Represented Derby Ward from 1938. Elected Alderman in 1949. He was Chairman of the Watch Committee. 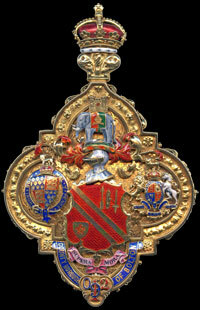 He was the first Chairman of the Bolton and District Sewerage and Water Board. He campaigned energetically against the merger of water undertakings and strongly believed that Bolton should retain its own water company. He retired in 1963 after completing his year as Deputy Mayor. 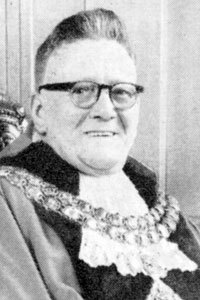 Elected Honorary Alderman in 1969. He was a founder member of Derby Ward Labour Club. His wife, Beatrice, was Mayoress. 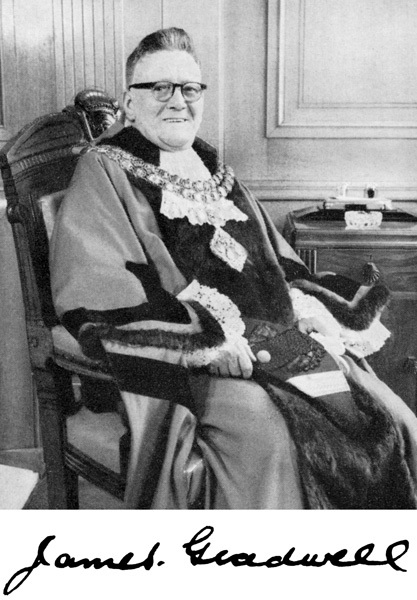 Formal portrait of James Gradwell as Mayor of Bolton.